This image covers a very rich region in the constellation of Sagittarius. There are many star-forming areas in this section of the Milky Way. 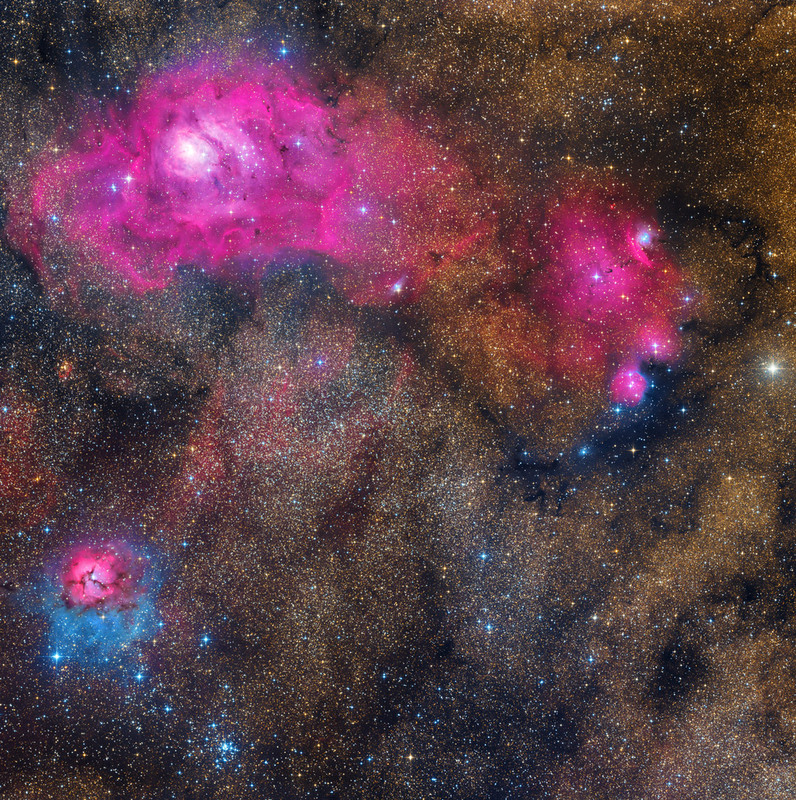 The most prominent objects here are M8 (the Lagoon Nebula) and M20 ( the Trifid Nebula). 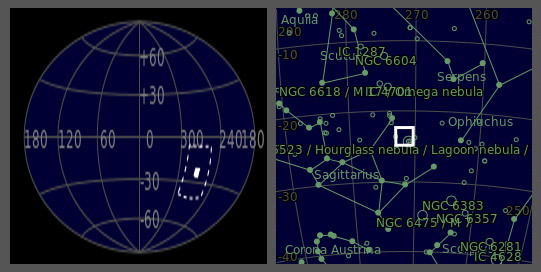 Some other nebulae could be also seen (please see the annotated mouseover) including NGC6559, IC1274, IC1275, and IC4685. This is a 4 panel mosaic and the image above is resized version of the full mosaic (7391 x 7428 pixels). Below is a zoomable image. Zoom in and out with the mouse scroll button, holding Alt button (or using the slider below); click and drag with the left mouse button to pan.